Rabbi Elizabeth loves to give academic talks on the Bible and Judaism, workshops on spirit, and facilitating Jewish renewal services with communities. She holds holds a doctorate in Hebrew Bible and focuses on gender and purity in ancient and modern Judaism. Please see the complete c.v. for a full range of topics, or give her your topic of choice. Your prompting helps her learn and grow continuously. To create an ideal rabbi-in residence weekend with Rabbi Elizabeth, please contact her directly. For three programs over the course of a weekend the fee is $2,000.00. Feb 10-11 Have you ever been to a seder in the middle of winter? Instead of traditional Torah study this Saturday, the JCP will engage in an interactive Tu B'shevat seder where we will eat fruits and nuts, celebrate the birthday of the trees and the beauty of nature. Ascend through the 4 mystical worlds as we sing, connect with one another, and contemplate our responsibilities to the earth. 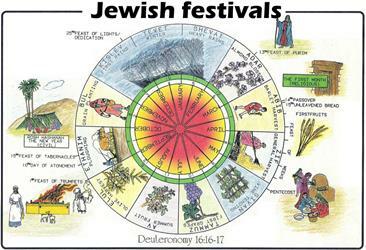 ​Oct 21-23, The JCP combined Shabbat and Sukkot Celebration (21). Vegetarian Potluck at 6 pm. Services begin 7 pm. Rabbi Elizabeth Goldstein will again lead services – with music, songs and prayers. Oct 22 Torah Study on The 12 Tribes of Israel and what is left to do. Oct 23 – Rabbi Elizabeth Goldstein and Kimberly Burnham warmly invite JCP members to a light “Brunch in the Sukkah” in celebration of Sukkot at their home in Spokane. Open house on Sunday, Oct 23 11-2 pm. 6 pm 311 Hemmingson Center. Open to College students, members of the Eastern Washington Jewish community, Jewish Community of the Palouse, Temple Beth Shalom, and Congregation Emanuel. Rabbi Goldstein will be leading Jewish mystical chanting in the Hemmingson Center's reflection room, #311 Wednesday at 4 pm. Thanks to Michelle Wheatley for organizing activities related to other faiths on the day Gonzaga celebrates Mass of the Holy Spirit, a mass geared toward blessings in the new school year. While the program is geared toward the Gonzaga community, I think it would be fine for others who are interested to join. If you have a question, please email me at goldstein@gonzaga.edu. ​All services in Spokane Washington. Although we often think of the word “community” after the word “Jewish,” individual Jews make important and far-reaching decisions about personal practice, institutional support, outlooks and ideologies. These “Jewish identity markers” are highly relevant in shaping the Jewish community now and into the future. For these classes we will focus on issues that combine long held beliefs, cultural influences and invoke the power of ceremony/ritual. 1) Brit Milah/Circumcision as a Jewish identifier. 3) Sacred Ground: Can land be Jewish? We will approach the topics as both “outsiders looking in” as well as insiders assessing our own unique approaches to Jewish identity. Each class will have an ancient textual component (text study), and at least two (from differing perspectives) modern responses. Please come with an open mind, and an open heart. I look forward to learning Torah with you. Torah Study on Saturday mornings with Jewish Community of the Palouse (JCP) at 10 am. Judaism and Happiness March 20, 2016 at Temple Beth Shalom (TBS) at 10 am.